Portland is the city of roses, and so each June these flowers (and more) are celebrated via a number of activities, one of which is the Dragon Boat Race. 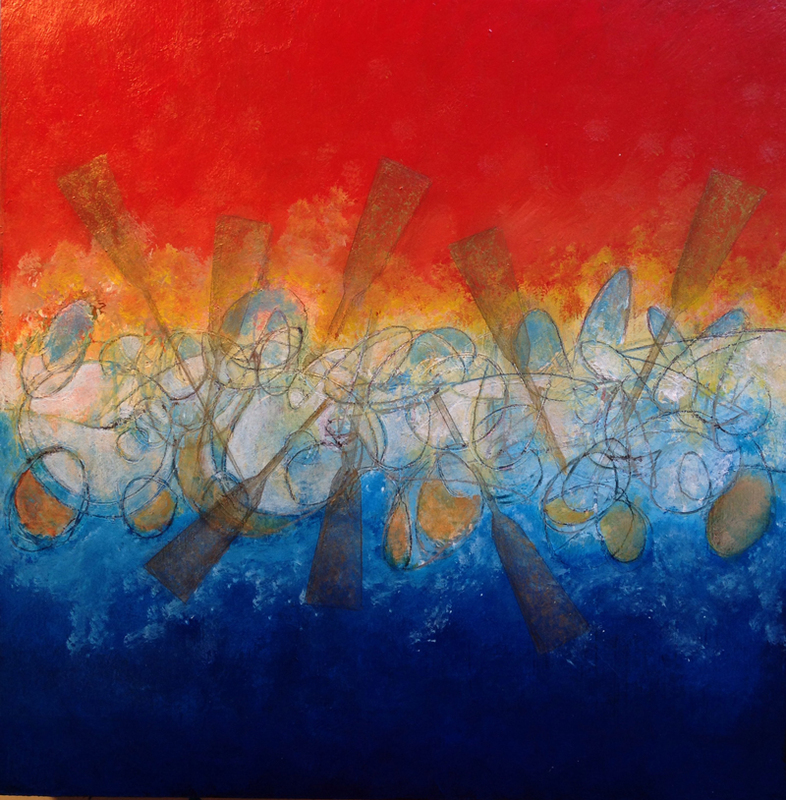 Portland artist Alea Bone created an art exhibition called “Fire on the Water” as a celebration of the dragon boat races. I’m honored to be one of the 75 invited artists to show a piece (a perk of being in the same art club). This art exhibition is an official Rose Festival event. You can get a sampling of the work on the Fire on the Water Facebook page. This is my submission. 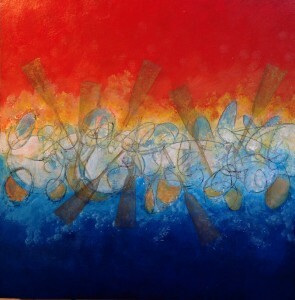 I wanted to capture in an abstract way what I imagine dragon boat racing to feel like. This is acrylic and pencil on wood. The opening reception is June 4 and the show will be up for one month. Date: June 4 | Time: 5–8 pm | Location: Portland’5 Center for the Arts, 1111 SW Broadway, Hatfield Hall. Update: I was happy to arrive to the opening reception and find that my painting sold. Thank you whoever you are! Don't miss a journal entry. Get new posts by email.